Invokana may be associated with a number of serious complications, including an increased risk of heart attack. In fact, clinical trials for the Type 2 diabetes medication suggested that the chance of heart attack rises among Invokana patients during early days of treatment. The nationwide law firm of Bernstein Liebhard LLP is investigating legal claims on behalf of individuals who may have been harmed by Invokana. If you or some one you love took Invokana and suffered a heart attack, please call (888) 994-5118 to discuss your case with one of our attorneys. Clinical trials for Invokana indicated an elevated stroke risk, as well as a small increase in the risk of heart attacks within the first 30 days treatment. Invokana was shown to raise LDL (bad) cholesterol and good (HDL) cholesterol. Elevated cholesterol levels are a major risk-factor for heart attack and stroke, especially in people with Type 2 diabetes. Once the drug was approved for sale, the Invokana labeling did not include any warning about heart attacks or strokes. However, according to The New York Times, the FDA did order Johnson & Johnson to conduct five post-marketing studies, including a clinical trial to determine more definitively if the drug increases cardiovascular risks. 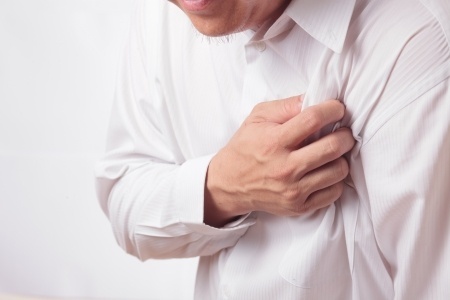 A heart attack or myocardial infarction occurs when the flow of blood to the heart muscle becomes blocked. This results in damage to or death of part of the heart muscle. The symptoms of a heart attack can vary from person to person, and do not always begin with sudden, crushing chest pain. If you suspect that you or someone else is experiencing a heart attack, call 911 immediately. Don’t drive to the hospital. Instead, wait for an ambulance so that emergency medical personnel can begin life-saving treatment a soon as they arrive. If you suffered a heart attack while taking Invokana, the attorneys at Bernstein Liebhard LLP can help you determine if you have a valid claim for compensation. To learn more about filing an Invokana lawsuit, please call (888) 994-5118.